Sri Lanka hosted what is popularly known as ‘The Global Ceylon Tea Party’ at Sri Lankan diplomatic entities in 37 countries, while partner tea companies, cafes and homes across the globe hosted similar parties on 06th July 2017. Locations in up to 50 countries with a population in excess of half the number of people in the world celebrated this unprecedented event that set a world record for the largest and longest global tea party. Starting in the pacific and ending on the west coast of the Americas, the parties commenced at 17.00 hrs in each time zone and spreaded from east to west. This global chain resulted in 24 hours of cumulative celebrations for Ceylon tea in all corners of the world. Within Sri Lanka approximately 180 parties were held across the country. Qualitea Ceylon (Pvt) Limited also joined this global event by hosting a tea party on 6th July 2017 at 17.00 hrs in its head office located in Colombo, Sri Lanka. 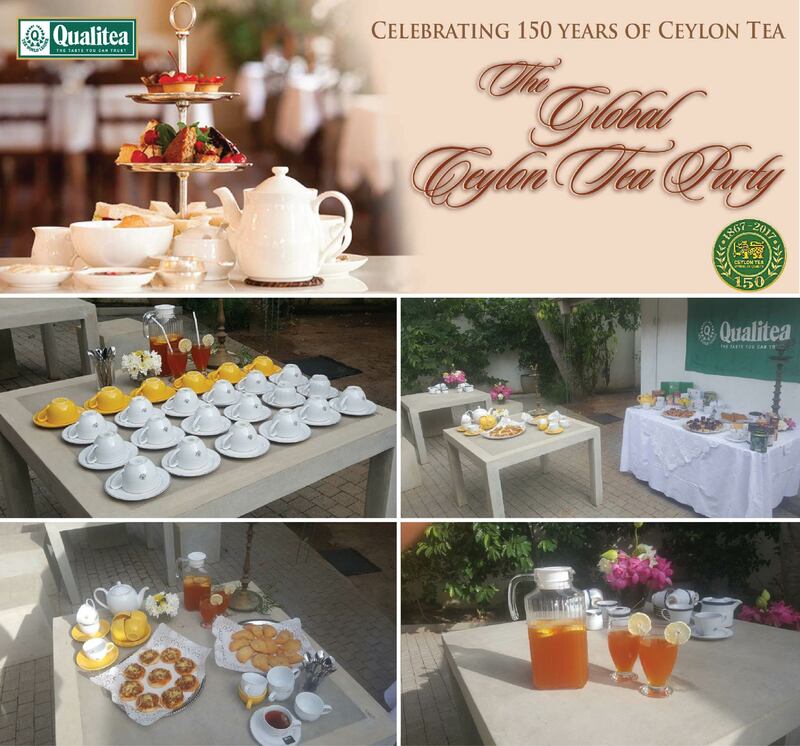 The management and the staff joined this event to celebrate the 150th anniversary of Ceylon Tea.